What you should know about Ransomware. Ransomware is a malicious software from cryobiology that blocks access to the victim’s data or threatens to publish or delete the data until a ransom is paid.in a simple definition ransom software is a kidnapper that will kidnap the files and data on your PC and ask you to pay money or perform a certain survey for them. What does ransomware do to PC? Prevent you from having access to your PC. Stop certain apps from running. 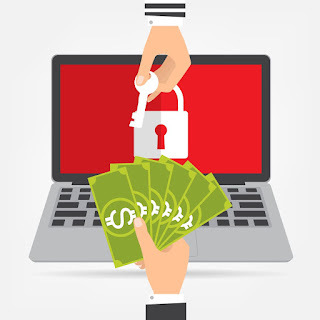 Ransomware when it attacks your PC it will request that you pay some money to them or perform a survey for them and there is no guarantee that you will have access to your PC when you meet up with their demand. There is basically two type of ransomware. they are. Lock screen ransomware shows in full a message at the victim screen that prevents the victim from having access to his PC, with a display text “you have to pay money to get access to your PC again”. Encryption ransomware changes the files on your PC so that you won’t be able to access them. it does this by encrypting the files. Ransomware is a global cyber attack. it targets ordinary consumer, a business, or a government institution. for instance older version of ransomware usually claim that you have done something illegal with your PC and that you have been fined by a government agency or a police force. they will use this false claim to scare you and make you pay the money easily. How can Ransomware get into my PC? Ransomware just like any other ware or virus can get into your PC from any source. Clicking on the suspicious or unsafe link it can be from emails, facebook, twitter, or other social media post. When ransomware attacks your PC it will be very difficult to restore or format your PC. Don,t click on a suspicious link on a web, in an email, social media post or on a chat message. Update your operating system browser and applications regularly. Install Malwarebytes. this will block any unsafe website or link on your browser. Always back up your important files or data. If you are using Google drive for backup do not live it on by default.